Forearm platform set with mount fits all Luminator anterior and posterior gait trainers (sold separately). Gait trainer accessory adds additional forearm support for added stability and security. A gait trainer is a wheeled device that assists a person who is unable to walk independently to learn or relearn to walk safely and efficiently as part of gait training. 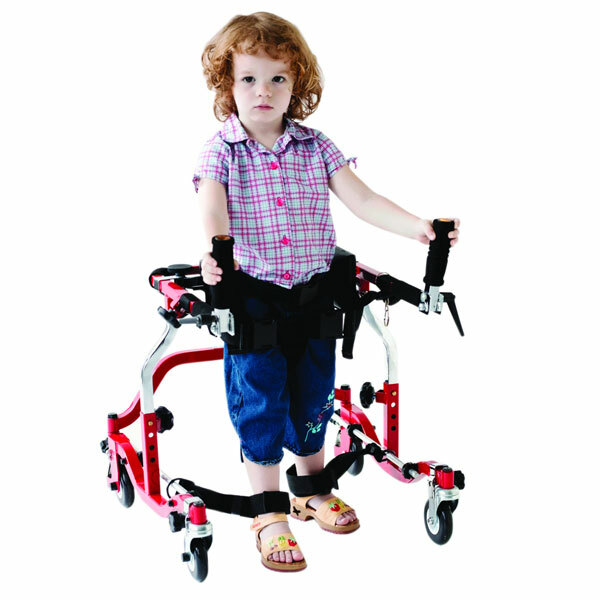 Gait trainers are intended for children or adults with physical disabilities, to provide the opportunity to improve walking ability.